There are still some opportunities to work as a volunteer at the German Table this weekend. Dates are May 28th and 29th from 11 am to 11 pm both days. You will receive a free ticket and will be able to spend your free time, after a 3-hour shift, enjoying the festival. Our next event is at the European Festival at 1 pm for a Beer and Bratwurst at the Swangard Stadium for the European Festival. Everyone will still need a ticket to get in and I have them available for sale for only $6! Let me know if you want one. The German Canadian Business Association has just had two successful events and a new photo gallery was created to showcase these. We are looking for more members who are interested in networking with German-speaking members, to promote their businesses and to perhaps with collaborate with some of them to enhance your bottom line. Do you know anyone you can refer to us? We will be hosting one more June event, that we will let you know as soon as we have that information. Our last event before the summer break. The Westside German School already has registrations open for children ages 5 to 6 who are at a minimum enrolled in Kindergarten for September 2015. They have a new principal, which always means exciting initiatives and changes and are now one of the biggest schools in Western Canada. 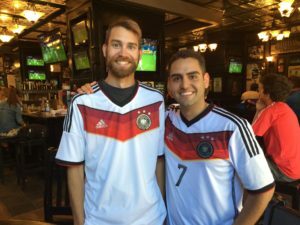 Do you know the Manchester Public House (Maple & Broadway) is now The Official German House? $10 Ticket gets you guaranteed entry + first Carlsberg. Hopefully, I will see you at one of these events this year!